Do Library Supporters Have the Right Target in Their Sights? The Trustees of the Boston Public Library voted earlier this month to close four of the 26 branch public libraries in the city, including the Faneuil Branch Library in Brighton's Oak Square. Library supporters are outraged and looking to reverse that decision -- whether through additional state funding, with an attached rider that would require all the branches to remain open, or additional city funding. Those who want the branches to remain open have top two targets for their criticism: BPL President Amy Ryan, who drew up the closing plan, and Boston Mayor Thomas Menino, who voiced his strong support for it. Are they targeting the right people? The answer to this question lies first in figuring out why BPL is in a funding crunch. Menino spokesperson Dot Joyce noted that the city this year "level-funded libraries." Now let's look at the state funding side of the BPL budget. Brighton state Representative Michael Moran is especially outraged at Menino and has co-sponsored a bill in the state House of Representatives that would restore some state funding. In the same time period that the city has cut its funding to BPL by a little bit, the state has cut heavily its own contribution to BPL: from $8.9 million in FY09 to $4.0 million in FY10 and $2.4 million in FY11. That's a decrease of $6.5 million over two years, or a cut of 73% in state funding for BPL. The funding shortfall in BPL's budget can nearly all be traced to a decline in state funding, not a decline in city funding. Should Brighton protesters target Mayor Menino to tell him to restore funding for the libraries to keep the Faneuil Branch Library open? That strategy appears misguided, since it is not the city that has drastically cut their funding for the libraries. Instead, Brighton residents might find their outrage better directed at members of the state legislature who voted to decrease state spending on BPL by 73% over the past two years. Shouldn't the the outraged citizens of Brighton be demanding that Reps. Moran and Honan and Sen. Tolman restore the state's funding to BPL from $2.4 million to the FY09 level of $8.9 million? Methinks the public's anger towards Menino is misplaced on this issue since it is the state legislature who created BPL's funding sinkhole. And members of the public who are angry at the possible closing of the Faneuil Branch Library should hold Moran, Honan, and Tolman responsible for their June 19, 2009 votes on the FY10 budget. The Boston Globe's Brian McGrory has done his best to channel Howie Carr in today's metro op-ed column about how Boston College should be paying more in Payments in Lieu of Taxes (PILOT) to the City of Boston. The problem with McGrory's argument that BC should contribute more PILOT to the city is that he didn't give a handle on what might be a reasonable expectation for those payments, particularly since only some of BC's property is located within Boston's city limits. By looking at what BC might be expected to contribute in PILOT under the proposal recently made by the city's PILOT reform commission, BC ought to be contributing at least $1.6 million more to the city than they are currently paying through PILOT and real estate taxes. 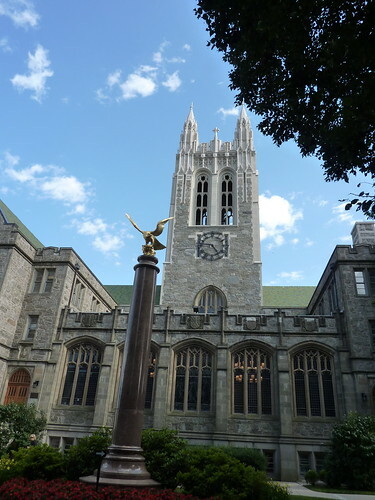 Here's how I come by that number: Boston College's existing Chestnut Hill campus (just that part within the Boston city limits) are currently assessed at a valuation of around $480 million, according to the city's website. Add to that the 16-story apartment building at 2000 Commonwealth Avenue they purchased in 2008 and the former St. John's Seminary land they purchased from the Archdiocese of Boston for $177.4 million in a series of transactions between 2004 and 2007. Added together, those properties lying within Boston have a current value in the ballpark of $722 million, no small change. The current property tax rates in Boston -- the amount that BC would be paying if they were not a tax-exempt institution -- are $12 (residential) or $29 (commercial) per year per $1000 of valuation for residential property. Since BC's primary financial activities are in education and research, not rental income, most of the land would fall under the commercial rate; I'll assume 75% commercial, 25% residential, or $25 per $1000 of valuation. If BC were to pay full taxes on their property at that $25 rate it would total around $18.05 million per year. The city's commission that is looking at PILOT reform is recommending that tax-exempt institutions, like universities, voluntarily contribute PILOT at a rate of 25% of the tax rate -- corresponding here to $4.5 million -- of which the institution could elect to pay half in payments-in-kind (e.g., community benefits). The 25% figure is based on a calculation of the cost of city services the institution requires as part of its operation, such as the emergency response to many campus incidents (including Tuesday's ammonia leak at BC's Conte Forum). So BC should be paying at least $2.3 million in cash to the city, while they are currently paying only $0.7 million, a shortfall of at least $1.6 million. Based on the commission's recommendations, McGrory has a point that BC is underpaying the city for required city services. McGrory's tone has evinced a torrent of outraged (and outrageous) comments -- channeling the tone of Howie Carr fans who comment at the Boston Herald's website -- nearly all from people defending BC from what they view as his unfair attacks on their alma mater. Read at your peril. I woke up to the news that seemed in the tank all week: the state House of Representatives voted, overwhelmingly, in favor of legalizing casino gambling and installing slot machines at the state's race tracks. This follows a completely opposite vote in the same legislative body a couple of years ago, when the same legislative body was against legalizing gambling. The legislators are still using the same "studies" written by the casino industry and its lobbyists, not independent analysis. In fact, this time around they asked only for a "benefits" study, not a "cost-benefits" analysis. Good lord. At least figure out what it is you're getting into before you vote for it. The legislators are using the same arguments that casinos would create lots of new jobs -- vastly inflated numbers that don't make sense, and are made with the crazy methodology that is "standard" among all kinds of developers (where one hour of subcontracted work qualifies as an entire "job," rather than expressed in FTEs). The unemployment rate might be higher today than it was a couple of years ago, but I predict that the unemployment rate will have dropped significantly by the time that the first shovel goes in the ground. The legislators are faced with the same arguments that gambling destroys people's lives, such as the nine-year-old boy who had to watch loan sharks repeatedly slam a meat cleaver in-between his father's fingers. It's the same arguments. In fact, it's virtually all the same representatives voting again, since most of their seats aren't challenged. The speaker of the house, that's who. State Representative Robert DeLeo, whose father we learned this week used to work in the gambling industry at the race tracks, is now the speaker, having replaced disgraced former speaker and former State Representative Salvatore DiMasi. The old leadership told the representatives a couple of years ago to vote against legalizing gambling, and they did it. The new leadership told the representatives this week to vote for legalizing gambling, and they did it. 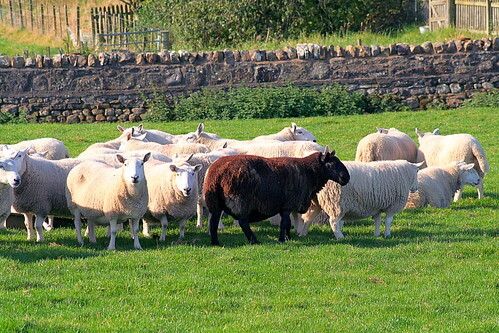 A large number of the members of the state house of representatives appear to have no principles behind their voting records; they are just following their speaker like a flock of sheep. Their benefits for cowing behind DeLeo? Continued leadership positions in the house and the extra pay that comes with it. Since these legislators appear to operate under no principle other than following their leader, then what does this mean about their votes a few years back to kill efforts to ban gay marriage? Were those votes not based on principle? Will they gladly reverse their votes when a new speaker takes over who wants to get rid of gay marriage? Gay marriage advocates watch out. Do I sound cynical? Angry? Maybe. It's because I learned that our state's representatives ain't got no... you know. In Allston-Brighton, Representative Michael Moran and Kevin Honan both voted yes in favor of the casino bill. Both voted against the casino bill in 2008.